Heart rate training is not just for athletes or people with medical conditions – it’s an effective training tool for people of all fitness levels! It’s also a great way to understand how your body works and will help you train at the right intensity to achieve your personal fitness goals. Heart rate training also guarantees efficiency, so you always know that you’re getting the most out of your workout. Our heart beats several times per minute, the rate of which is measured in beats per minute (bpm). These are the units used when determining the two key factors of your ideal heart rate range: Maximum Heart Rate (HRmax) and Resting Heart Rate (RHR). HRmax is the maximum number of times your heart can beat in one minute. Many factors affect your HRmax, including workout history, fitness level, genetics, blood pressure and certain medications such as antihistamines and diuretics. Without going to the doctor to have a stress test and EKG done, the best way to determine your HRmax is with this formula: HRmax = 220 – age. For example, if you are 30 years old, your HRmax is estimated to be about 190 bpm. However, this number can be off by about 10 bpm because the formula ensures a steady drop in heart rate as you age. But in fact, your HRmax will usually only decline if your level of fitness does, so those who remain active generally have a higher HRmax. Once you have determined your HRmax and RHR, you can measure your recovery time. This is actually the best way to determine how fit you are and also to track your workout progress and cardiovascular fitness. Typically the recovery period is measured by how fast you recover in one minute after exercising. 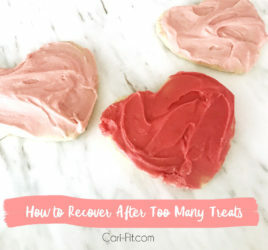 But depending on how fit you are and how hard you are working out, it might take more than a minute to fully recover. The shorter the recovery time, the more fit your heart is. For example, if you are sprinting and get your heart rate up to 185 bpm, when you stop see how long it takes you to get your heart down below 130 bpm. When you first begin an exercise program or if you do not do much cardio activity regularly, you will have a longer recovery period. It might take several minutes for your heart rate to drop and for you to catch your breath. It also depends on how hard you push yourself because if you are sprinting full force, you will need longer to recover than if you are just running hard. Lastly, you can use your HRmax to determine your ideal heart rate training zone. There are three general “zones” for your heart rate: Light, moderate and hard. When your heart beats at 60-70% of your HRmax, you are in the Light Intensity Zone. Push yourself up to 70-80% of your HRmax, and you are in the Moderate Intensity Zone. At 80-90% of your HRmax, you have moved into the Hard Intensity Zone. You can alternate between intensity zones to improve your fitness and add variety to your exercise routine. Remember that the lower the intensity, the longer you can comfortably exercise at that level. Exercise at a higher intensity for shorter periods, then return to a lower intensity to recover. This is called interval training. Interval training allows you to get a much better workout in a shorter period because you are alternating periods at a high heart rate with periods of recovery. Maximum endurance is generally improved through interval training as well, and is aimed specifically at enhancing performance. 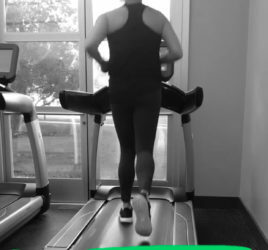 You learn to pace yourself during interval training and interval work improves recovery time, which is important regardless of what activity you are doing. In order to monitor your heart rate, and thus the intensity of your exercise, your best bet is to purchase a heart rate monitor. Sure, you can get a rough measure from the metal heart rate handles on cardio equipment on the gym, but they are largely inaccurate and will do little good if you’re training outside of the gym.